For the longest time I drooled over the brown bread at the Cheesecake Factory. They call it their “wheat bread” but if you’ve tasted it you know it’s not your normal wheat bread. There’s something special. I set out to figure out a recipe to make that tasty bread and I’m going to be honest, it turned out pretty stinking close. Like close enough that when I go to the restaurant it’s not novelty any more and I go for the French bread just as equally. Here it is in case any of you guys want to make some yourself. Dissolve the coffee in the water. Add yeast and let bubble. Add sugar, cocoa, salt, and oil. Add half the flour and the molasses and knead. Continue adding flour until dough pulls away from the bowl. You want it sticky but manageable. The stickier the softer the dough will be. 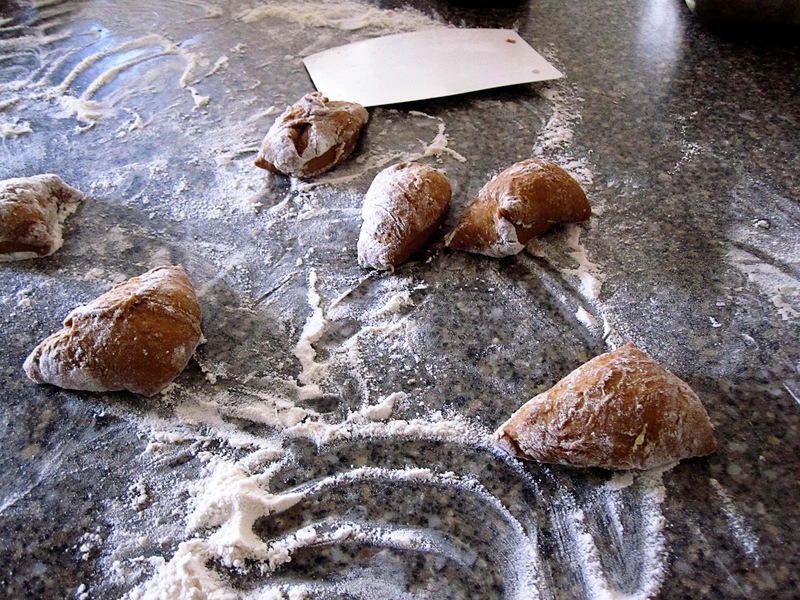 Allow dough to rise until it doubles in size. Shape into rolls or loaf. Brush with egg wash and sprinkle with oats Allow to rise. Bake at 350 F 20-35 minutes (time varies depending on the size of the roll/loaf). To tell if it’s done pick it up and thump the underside it will sound hollow when it’s finished. 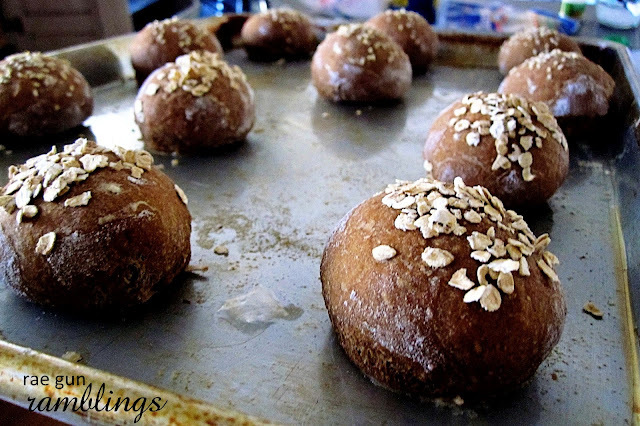 These are my favorite rolls to make because I love love love the texture of the dough when I’m shaping the rolls. I might just be a bread making freak but I love the weight of that soft dough in my hands. I’d love to know if you try it. I tried this recipe today and it turned out great! Thank you. Definitely a recipe I will be keeping in my favorite-recipe box. However, I didnt have instant coffee on hand, so I replaced it with leftover coffee I brewed this morning (and omitting any extra water). Will defintely make this bread again very soon. How much water did you use in total? Oh my Dear Marissa!! These look so yummy!! awesome I’m glad it turned out for you! 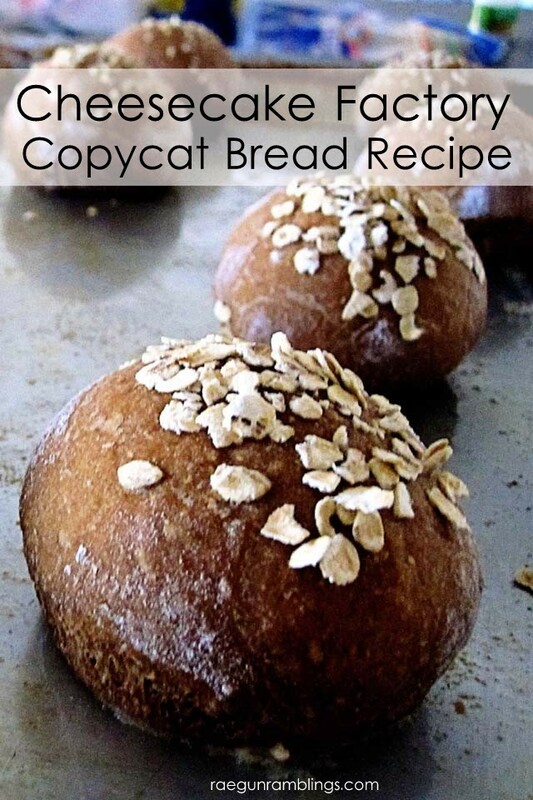 Thanks for sharing this recipe, I’d love to try making this bread! Yours looks great! omg omg omg! I’m totally freaking out right now. I’m the biggest bread fiend and my bf and I always fight over the last piece of this bread when the go to Cheesecake. Thank you SO much for this recipe! I shared your post on my blog’s FB page too. Mmm, coffee and chocolate in a roll. Sounds great. I would have never thought to add either of those ingredients. I’m pinning this so I can remember to make it. I’m so glad you linked up at Romance on a Dime! I LOVE those rolls at Cheesecake Factory! I’m definitely going to try this out! Saw this from Chef in Training’s Tuesday Talent Show – I LOVE this bread from Cheesecake Factory. Must try this recipe, thanks! Um, yum! I’ll be trying this over the weekend! Thanks for linking up. Mmmm … I can’t wait to try that. It sounds delicious. Came over from the It’s Overflowing Party. I had to click on… I ask for only the dark bread at Cheesecake Factory! Oh yum!!!! This looks delicious! I would love it if you have the chance to stop in & link up @ Things That Make You Say Mmmmm! There are ingredients in there that I never would have guessed. Brilliant. Thanks for sharing – I’ve pinned it already. Thanks for linking up to our party this week. I love there rolls too! Can’t wait to make them myself. I liked your facebook page. Oh, sounds delicious!! Thank you for sharing at Sharing Saturday!! I am drooling just looking at the photo! 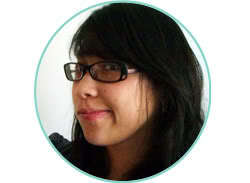 We are featuring this today ^^) thanks for sharing and have a fab weekend! Yum yum yum! These look so delicious! I am featuring your bread recipe tomorrow at Its So Very Cheri. wow this looks like an exact replica!!! so excited to try it. Hi there! I have a problem. I’ve attempted to make this twice and I haven’t had any results at all. My problem is my dough is not rising. I do have to say that I am not a baker and this is my first attempt at making bread. I’ve checked and recheck my measurements so do you think it’s the yeast? I’ve checked the expiration date and it’s still good though. Please help!!! Try sprinkling a pinch of sugar over the yeast ,it may help? Hi! I baked this bread today. It was my first time baking bread. The dough was really sticky and it took more than an hour to bake in a loaf pan. 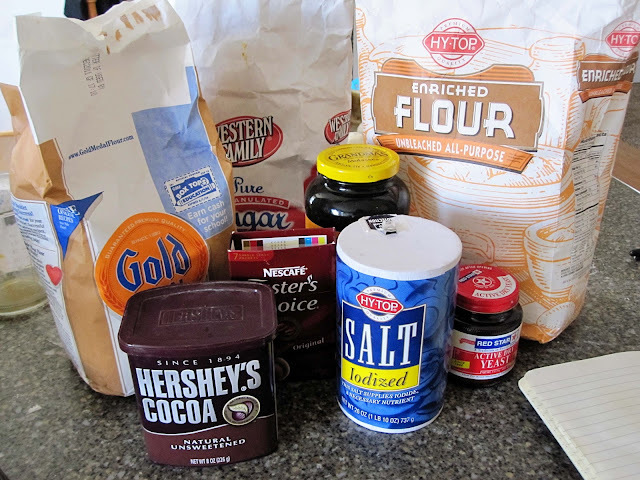 I just wanted to clarify the part in the direction where it states to, “Continue adding flour until the dough pulls away from the bowl.” This might sound like a silly question, but do I add additional flour than what is stated in the recipe? YES you might have to add more flour than what the recipe calls for. Bread flours vary as do the conditions of everyone’s kitchens so you need to judge it on how the dough is as opposed to a certain measurement. The stickier the do the softer the bread will be but you want to be able to handle it without it sticking to your hands. This is the part about the dough pulling away from the bowl. And yes since a loaf pan is about 3 times thicker than rolls that makes sense for the cooking time to be over an hour. Just tried making this bread, and it turned out good but not that great like the one at the CF. Not sure if ill make it again, I feel like the bread is missing a little something… Just not sure what. Thanks anyway! Just tried this recipe. Super yummy. I ended up using 2 c std flour and 1/2c whole wheat. I will try a little bit less molasses next time as I found it a little too strong. Thank you for sharing your recipe. Yum. Oh, their bread is so good! Pinned this so I can try it for myself :) Thanks for linking up with Merry Monday. These look delicious! I’m a sucker for bread recipes especially a cheesecake factory bread recipe! Thanks for linking up with Delicious Dishes Recipe Party!